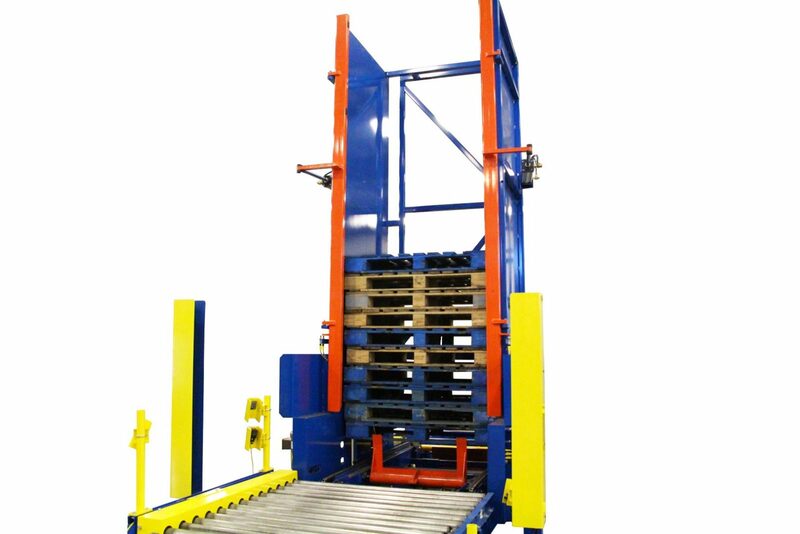 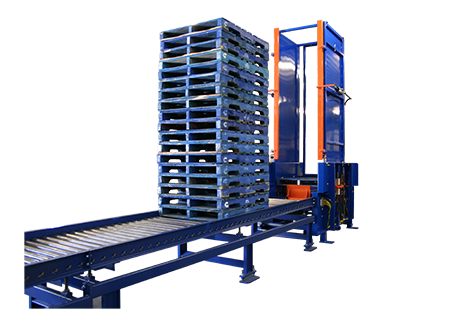 The AMS Electric Pallet Stacker is capable of stacking one pallet every 5 seconds. 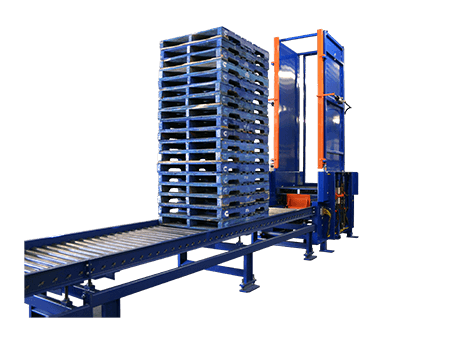 It receives single pallets from any type of in-feed conveyor and stacks the pallet with its heavy duty electrical hoist system. 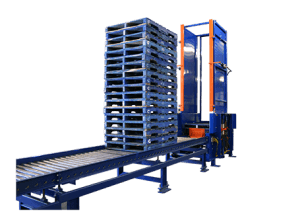 Once the pallets are fully stacked, the stacker automatically discharges the stack of pallets to the out-feed conveyor. 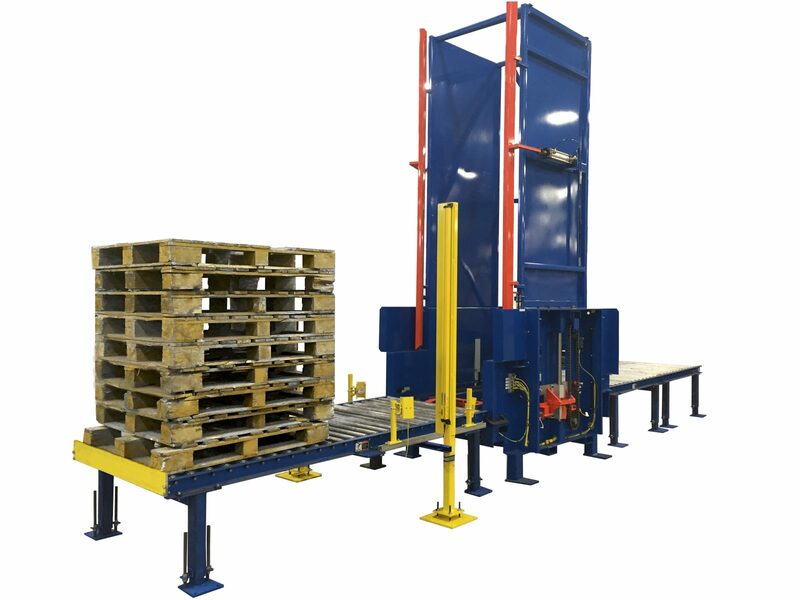 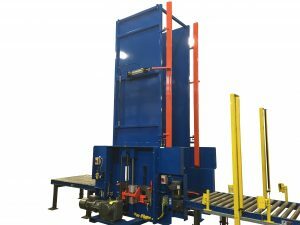 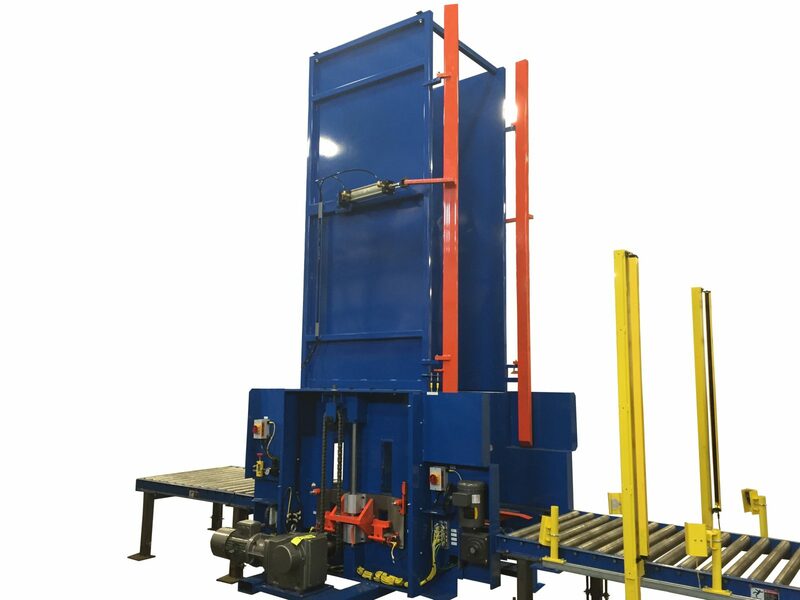 The AMS Electric Pallet Stacker can be integrated into a variety of systems and configurations to meet any pallet stacking needs.